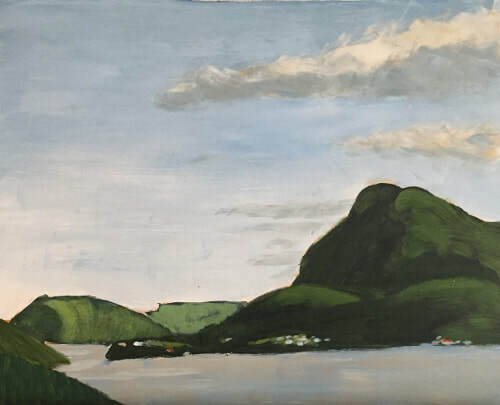 This painting was given as rental payment for a house in Winter House Brook, Newfoundland. It was a gorgeous morning in September and I stood at the local lookout facing Birchy Head. Conditions don't get any better than this.